Scott, you are making such fabulous contributions to the field of dream psychology. I think these insights -- including what is in the this new paper -- make take decades to be fully appreciated, but I think your work is going to be remembered and studied for a long time. I wanted to take a moment to CONGRATULATE you on the fabulous chapter you wrote for the recent Lucid Dreaming anthology––it's superb! 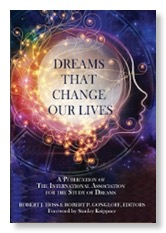 An important contribution to the theoretical discussion of dreaming, lucid dreaming, and personal transformation. Your developmental/integrative/non-dualistic approach definitely offers a potential rapprochement between differing views of the development of lucidity and the relationship between lucidity and control. I also greatly appreciate the depth of your scholarship, including your experience and insights regarding tensions within the community of lucid dream researchers and theorists, and your assimilation of spiritual perspectives on lucid dreaming (and why one might wish to cultivate lucid dreaming skills). 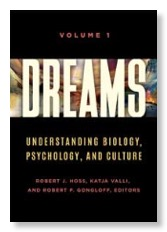 So important to locate the discussion and work on lucid dreaming in a larger historical, cultural, and developmental context––the depth of your experience, thought, reflection, and scholarship shine through and I hope your chapter gets lots of airtime!! Dr. Tracey Kahan, Professor of Psychology at the University of California at Santa Clara, and keynote speaker at the 2012 annual conference of the International Association for the Study of Dreams. I think of you as a 'kindred spirit,' including the parallel tracks our scholarship has traveled. We both came to appreciate the existence and potentialities of reflective awareness in non-lucid dreams, for example! 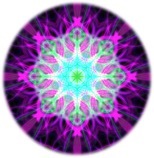 I was just poking around on your fabulous 'spiritual mentoring' website (www.spiritualmentoring.com) and was drawn to your 2010 article on the Five-Star Method. I really like the emphasis you place on the interaction between the 'process' features (e.g., reflective awareness and attentional focus) and 'content features' (dream content/imagery) and their reciprocal influence (clearly, we've both been deeply influenced by Rossi's and Moffitt's work. I also like how your approach highlights, to be blunt, how misguided it is to base an exploration of the dream's 'meaning' (for the person) on the dream report alone -- and, especially, in the absence of the dreamer!! You've articulated so effectively why 'gleaning' meaning requires the participation of the dreamer!! I can see better now why you were excited to come across my empirical studies of reflective awareness in non-lucid dreams. Thank you for your continued support and inspiration! Dr. Scott Sparrow was the first American practitioner to explore the transformative benefits of working with lucid dreaming. 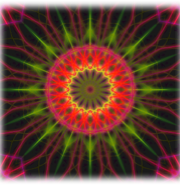 He now offers a novel and extremely effective technique to explore all types of dreams through his impressive FiveStar method of discovering parallels in dreaming style and currrent patterns of waking life behavior. Dr. G. Scott Sparrow's dissertation was a historic milestone in the field of lucid dreaming. 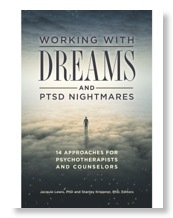 In this dissertation, Dr. Sparrow introduced Dream Reliving, a lucid dreaming induction technique that involves re-experiencing troubling dreams from a lucid perspective while awake. Through this technique, Dr. Sparrow inaugurated a new direction within the science of lucid dreaming...Dr. Sparrow was the first researcher to integrate the lucid dream induction process into a thoroughly developed psychotherapeutic approach to dreamwork. Since the early 1980s, Dr. Sparrow has developed and refined this technique, and remains at the forefront of exploring the relationship between psychotherapy and lucid dreaming. Chris Olsen, Ph.D., lucid dreaming historian and co-producer of "Wake Up: Exploring the Potential of Lucid Dreaming." I think your greatest genius lies in the gift of linking dream to archetype to personal story in a way no else even comes close to mastering, in large part because of your great depth and repertoire of symbols, myths, and meanings and ability to pull it all together in real time. I want to tell you that I felt unexpectedly light and relieved after our conversation, and that feeling has remained with me since then. It's as though something has been cleared...I am sure now that I did the right thing in seeking your help. After completing the FiveStar Method of dream analysis (Modules 3-5 in this course), my perspective on working with dreams had shifted dramatically. I was no longer focused on unraveling the meaning of the often bizarre and fascinating dream images which dominate the dream landscape. Instead, my attention was guided towards the more subtle pieces of the dream, with greater emphasis being placed on the dreamer and his or her responses throughout the dream. Placing the dreamer first and foremost as an interactive, co-creator of the dream, rather than a bystander, was a vital piece of learning for me and one that has proved extremely helpful in working with my own dreams, as well as with others. Although I had experienced some lucid dreams in the past and read about lucid dreaming, the work I did in the FiveStar Method was with what has been described as “ordinary” dreams. 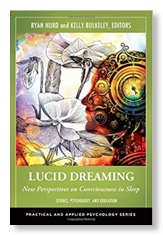 Interestingly, during my training in the FiveStar Method, I had a lucid dream (the first for me in a long time) and I was delighted to begin this module to learn more about this type of dreaming. Experiencing the FiveStar Method and then embarking on this first module has felt a bit like reading a story backwards; at first a little disorientating and then with a renewal of interest and understanding. What struck me after completing this module was the foundational piece that research and interest in lucid dreaming has had in the formulation of this particular approach to dream analysis. In lucid dreaming, the dreamer becomes aware that they are in the dream state and are therefore able to “take part” in the dream or influence the dream in some way. The dreamer plays an important role in the development of the dream itself and can chose to interact or not with the dream characters or dream images. By focusing on the dreamer’s role in the dream, lucid dreaming has opened the doors to an exploration of “ordinary” dreams in a similar way. Seeing “ordinary” dreams as a co-creative process between the dreamer and the dream content can empower dreamers to look at their choices within the dream and explore similar responses or habitual patterns in their waking life. In lucid dreaming, the dreamer is able to make conscious choices within the dream. With an exploration of “ordinary” dreams that looks at dreamer responses and how these may be playing out in a person’s waking life, a person may be able to make conscious choices in the waking state which can be then be transposed onto to a person's waking life. There is definitely a certain magic or mysticism associated with lucid dreaming, and I believe that it is a normal human desire to want to experience these states, especially with the “bliss” and “ecstasy” connected to some of these experiences. Although working with “ordinary” dreams may not bring about as profound an experience as lucid dreaming, I believe there is great potential for healing, resolution and even some moments of great clarity and light which can happen through working with "ordinary" dreams using this kind of approach.